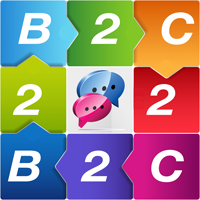 Q: Is a Webo Marketing Chapter a Business Networking Group? A: Yes, however the focus is on a group of local businesses marketing each other to their established opt-in customer databases versus having a focus on meetings, presentations and word-of-mouth referrals. The multiplier effect of group social media sharing is staggering. Most Business Networking Groups were established before social media growth offered the B2C and B2B networking opportunities that exist today. Business networking is an international success story that has, as a foundation, the provision of referrals by businesses in the group to other businesses in the group. Groups are generally restricted to one business in any one category. Success for a member of a group is often enhanced by a public speaking ability and the presentation of measured benefits generated by you for others via your referrals. These groups have a focus on meetings, presentations at eg weekly breakfasts and word of mouth referrals. Q: Does Webo manage the groups? Webo may establish, support and assist in growing a group however the group is Chaired by the founding member of a group unless a group elects a new chairman. All members of a group will form a management committee which will include Webo. 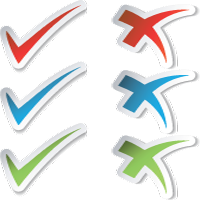 Webo maintains a set of best practice guidelines that are available to groups. Each member retains their own identity and is marketed, by each member of the group, as an independent brand or entity, to their opt-in customer database. The target group size excluding Webo, is 10 members. On average each member should have the short term potential of having an opt-in customer database of 2,000 customers. Webo will maintain online accounts and an opt-in database for SMS alerts and another for e-mail marketing. The LPM package offered by Webo will include the maintenance of 2,000? customer accounts and the two opt-in databases. Q: Who appoints qualifying group members and what are the next steps? The founding member and Webo form the initial membership of a group. Each member is charged with appointing new members who must be approved by the Chairman. Members must be non-competitive businesses however they may be within the same business category as another member provided geographic or other considerations ensure that they do not compete with each other. 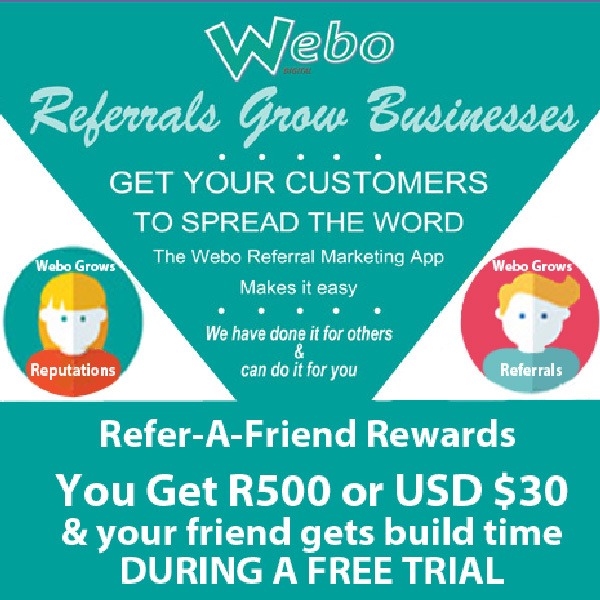 Each member of the group will be invited by Webo to offer a prize, with an approximate retail value of R5,000 per month (for an initial launch period of three months) which will be featured on that member's LPM App and on the LPM App's of the other members. After the initial three month launch period, the group will approve a way forward strategy to achieve the objective of collectively marketing the group, each to the opt-in databases of the others. The members of a group will only market to their own opt-in customer/subscriber databases however should a person who receives an invite subscribe to another member that member may then market directly to the new subscribers so acquired. Q: Must members award prizes at an Awards Event and how many Awards Events will there be? All prizes must be awarded at an awards event as specified in the terms and conditions of entry. There must be three, monthly awards events during the launch period. All members must be afforded a maximum of 5 minutes to do a presentation per R5,000 retail value of the prize offered by them. All members will showcase their products and services on their Apps and they will be provided the opportunity to showcase their products and services at the Awards Events. Each member's competition will be limited to one entry per invitation and it will be subject to the qualifying criteria that it will be shared on a social media platform. 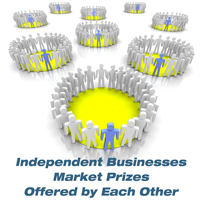 Given 10 members, customers and invited friends will have the opportunity to submit ten entries for any one prize. This is one entry per each invitation on a members App (eg 10 Members = 10 Apps = 10 locations to submit an entry). Q: What are the qualifying criteria for entry and will there be a charge for the entry and to attend the Awards Event. Quiz: Each entry will require the answer to a single quiz question. The answer must be; YES, NO or MAYBE. The answer must be available on the member's App or on a "READ MORE" page that directs entrants to the information from the entry on the App. 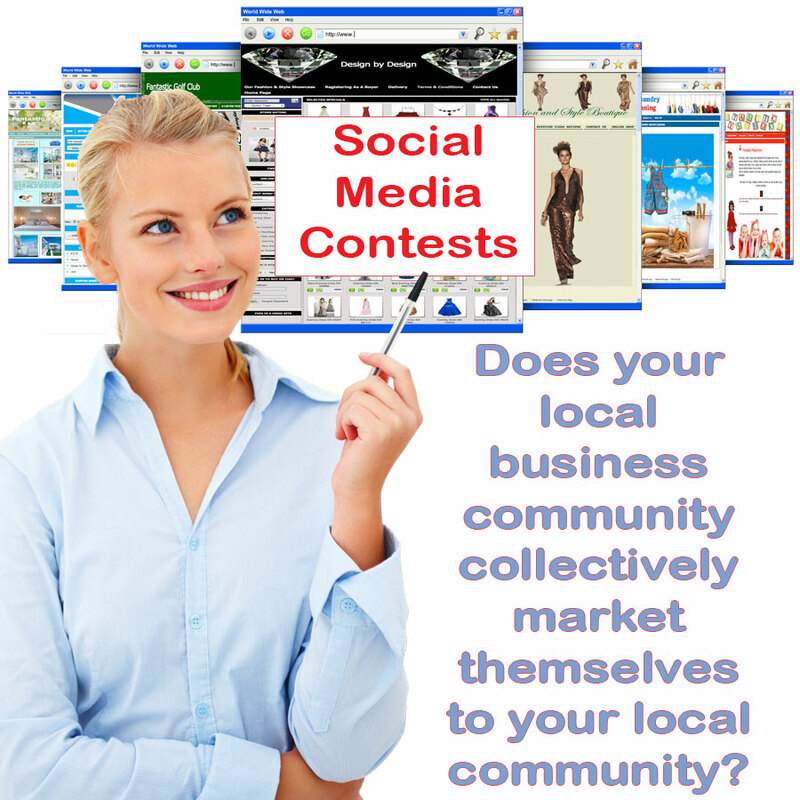 The entrant must provide the name of the Social Media page to be selected by them for a required share for each entry. Each member will be responsible for the Prize Draw at the Awards event and after the "lucky draw" the prospective winner's entry will be subject to confirmation within 24 hours subject only to the confirmation of the required share and the correctness of the answer to the Quiz question. 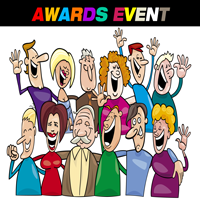 It is anticipated that the share and the quiz question answer should be able to be confirmed at the Awards Event. Should a prospective winner, that is drawn at the Awards Event fail the qualifying requirenents then the member shall ASAP announce a qualifying winner. Q: What are the potential competition variables? Initial Circulation: Many businesses do not maintain usable customer databases. Within a group, customer/subscriber databases will have the potential of being between 2,000 (a participation criteria) and 10,000. For the "What If Table" initial circulation is set at 20,000 for the group of 10 businesses (an average of 2,000 per business). Email open rate: Email open rates can be low unless subscribers are opt-in. Businesses will circulate invitations and those that send invoices, newsletters etc will have trust and buy-in to email received. We have thus set Email open rates to 50% for the "What If Table." Given a really attractive prize entry rates have been set at 50% for the "What If Table." Qualifying criteria compliance: The quiz answer must be a simple yes, no or maybe and given the fact that prizes are really attractive the share compliance rate is expected to be high. We have used a share compliance of 90% for the "What If Table." Social Media Popularity: Facebook 15m | You Tube 9m | Twitter 8.5m | LinkedIn 6m | Instagram 4m > See also. 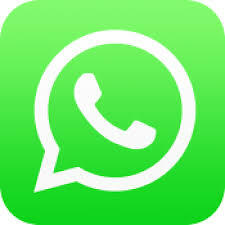 85% of SA users access Facebook via their mobile phone every day. Number of social media friends, followers or connections. It is anticipated that most shares will be to facebook. The average Facebook user now has about 338 friends, though the median number is quite a bit lower: 200. This means that while half of all Facebook users have 200 or fewer friends, many of the billion-plus Facebookers have quite a few more. 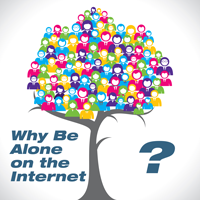 In fact, 15 percent of users have friend lists topping 500. Some 25% of users will share an interesting post and this will rise to some 70% for a competition for a prize that users want from a known credible sponsor. We have set the "What if Table" shares at 50% for step 1 (customers/subscribers) and at 15% for step 2 (the friends of subscribers/customers) entrants invited by a customer/subscriber. Q: What are the anticipated competition analytics? Allowance for incestuous sharing at step 3. 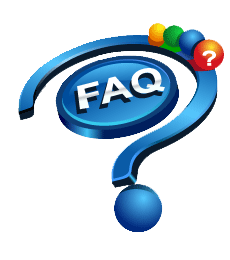 Q: Can I join a Webo Marketing Chapter? Yes - if you are a good fit. No - if a Chapter is fully subscribed. Maybe? Perhaps you should, or perhaps your niche may be better served by you founding a new chapter. 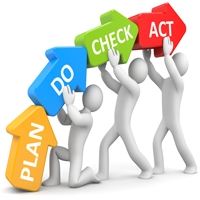 Chat to us: We will be delighted to plan a strategy to help you get your business growing.